Does room color reflect your persona? 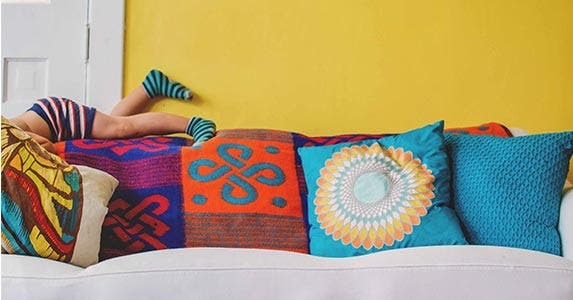 The color on your walls might be painting a picture of your personality. Paint colors can be “a window into who we are,” says Shashi Caan, founder and principal of The Shashi Caan Collective, a design firm. Want a glimpse into a homeowner’s personality? Note not only the color, but the shade, the saturation and the brightness of that color, says Sally Augustin, Ph.D., environmental psychologist and principal of Design With Science. Extroverts generally prefer brighter, more saturated colors, Augustin says. Introverts, who may process the colors better, tend to favor lighter or softer shades, she says. 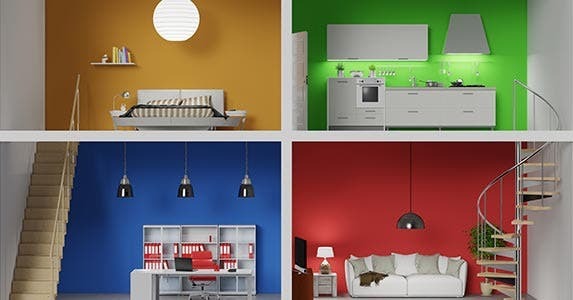 Extroverts may gravitate toward colors that are considered “energizing,” like reds, while introverts may opt for hues with a relaxing vibe, like blues and greens, Augustin says. And homeowners who enjoy more unusual shades — those colors you can’t easily identify — could have “a high need for uniqueness,” she says. Going beyond the neutrals? Think big picture. With color, “a smaller quantity is going to stimulate and give me an idea of who you are,” says Caan. But a larger quantity may convey that you’re “illiterate about color,” she says. Here’s what your favorite paint colors could be saying. 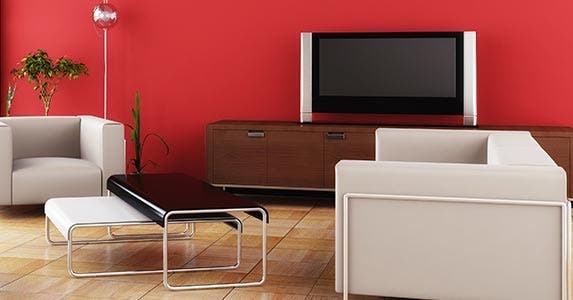 RATE SEARCH: Thinking about painting the walls to reflect your personality? Compare home equity loan rates today! The shorthand: Yellow = sunlight. “Yellow is associated with the sun, no matter what society you live in,” says Leatrice Eiseman, executive director of the Pantone Color Institute. Very saturated shades especially could signal an extrovert, someone who needs something lively and different, says Augustin. 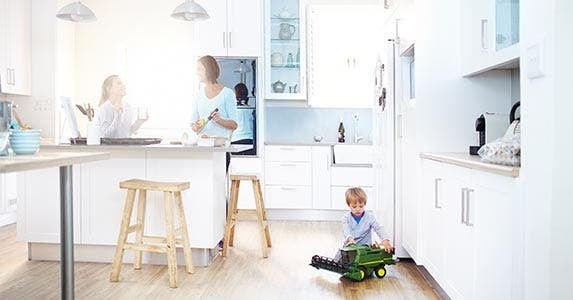 “The folks drawn to yellow tend to be sunny, happy people,” says Debbie Zimmer, director of communications and alliances for the Paint Quality Institute, the educational arm of Dow Coating Materials. Because yellow is seen as convivial, it’s a great choice for gathering places in the home, like family rooms and kitchens, says Eiseman. Zimmer agrees. “Yellow is very welcoming,” she says. 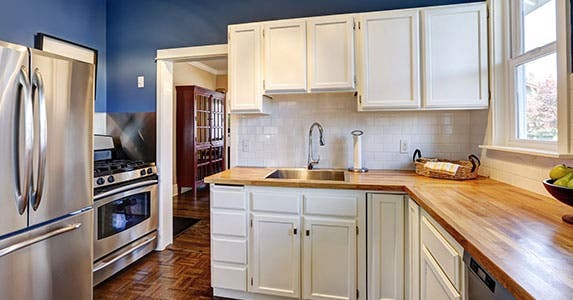 Yellow whets the appetite and makes a space seem warm — another reason it’s a popular choice for kitchens, says Augustin. And if you wish you had more sunlight in a particular area of the house, a yellow shade might be the answer. “You can fool yourself by surrounding yourself with the color of sunlight,” Eiseman says. 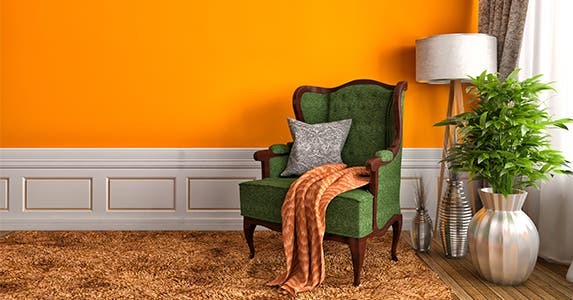 Those who favor orange in their homes tend to be “warm, but a little more reserved” than those who “are going full-blown yellow,” says Zimmer. “And it could be that someone who uses orange has a great deal of confidence with their style,” Augustin says. “Orange also makes a space seem warm,” she adds. The color is identified with good value, which is why it’s a popular choice for retailers “from Home Depot to Hermes,” she adds. Since it’s “perceived as the hottest color,” it’s “better for public areas,” Eiseman says. If you’ve chosen an earthy orange for your house, that could mean you’re a bit more reserved, as well as outdoorsy and artistic, Zimmer says. RATE SEARCH: Thinking about redecorating your home? Compare home equity loan rates today! Roses are red, and violets are blue. But what does it mean if your walls are red, too? You’re also “probably more extroverted,” Augustin says. “You wouldn’t want to use red in a space where you think analytically,” like a home office, Augustin says. But physically, “it can give you a momentary burst of strength,” so it might work for a home gym. Use it sparingly. While red “is energizing, studies have shown it can raise your blood pressure,” Zimmer says. Also consider the shade. When you deepen reds (think wine hues), you make it more subtle, Eiseman says. Combined with soft lighting, “it’s definitely a mood setter,” Eiseman says. Blue is associated with constancy, dependability and loyalty, Eiseman says. Just look to the blue sky above or the phrase “true blue,” she says. Someone who paints all or part of a room blue could value those qualities and want to bring them into the home, Eiseman says. Blue is a beloved color the world over, Augustin says. Likely because blue is the color of the sky on a nice day or a watering hole from a distance when mankind lived on the savannahs, she says. On a wall, lighter shades tend to be relaxing, while deeper shades “tend to put a bit of sophistication into a space,” Zimmer says. Paired with white or other neutrals, blue can convey a nautical or beachy feel, so the homeowner could be “someone who likes the ocean,” she says. 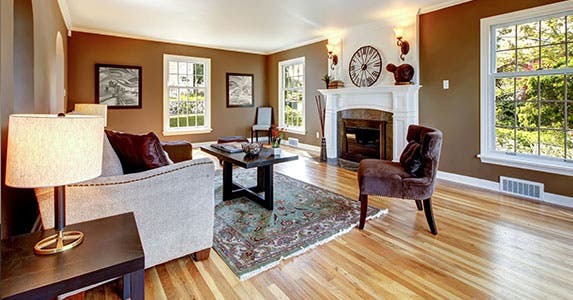 RATE SEARCH: Would your home be more fun to entertain in if you updated it? Compare home equity loan rates today! Painting a room shades that are reminiscent of the great outdoors? Chances are you’re a nature lover, Eiseman says. Maybe that’s why green can give your creative side a boost, too. “Shades of green are linked to more creative thought,” Augustin says. If you’re someone who does creative work, you might want to use that in a home office,” she says. In her own home, Caan uses off-whites and light taupes throughout, but she painted a 2-story stairwell wall a moss green. It signals a transition from one level to another, and “it allows me to become and continue to remain relaxed,” she says. The particular shade is critical. While “natural greens” signal a “calmer outdoorsy type of person,” electric or yellowy shades could indicate someone is outgoing and likes a bit of excitement, Zimmer says. Selecting purple paint for a room could point to a more creative personality “because it’s a complex color,” Eiseman says. It may “indicate that you have very sophisticated tastes,” says Zimmer. Or that “you’re a trend follower on the cutting edge” of what’s hot, she says. Purple shades can be a design hot button, Zimmer says. “It also tends to be one of those colors that people absolutely love or have no time for within a space,” she says. Women tend to like the reddish-purple and pink-violet shades “more than men when we test them in the labs,” says Augustin. It’s a good backdrop “to enhance creativity” and “to be kind of quiet and collect your thoughts,” Eiseman says. So a soft blue-violet may be a good choice for that meditation room or study. 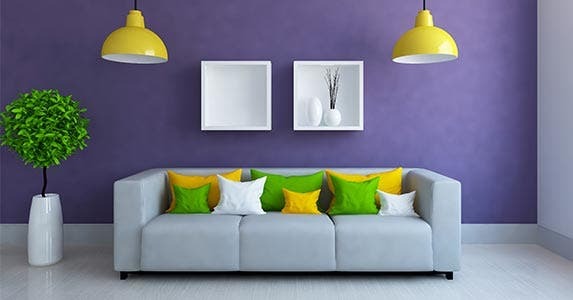 Deep purpley-blues are also associated with royalty, so someone who paints a wall or room that color could be seeking the “status association” with the color, says Augustin. The downside? These darker shades also make a room seem smaller, she says. RATE SEARCH: Are you meditating on whether to revamp the study? Compare home equity loan rates today! Rich chocolate? Deep espresso? If this is the color on your walls, you may have your favorite coffee haunt to thank. She credits, in part, the “Starbucks phenomenon” for giving brown paint greater popularity in the past 20 years. Due in part to the “soothing, earthy colors” the coffeehouse chain uses in its decor, brown has become associated with meeting up with friends, being social and enjoying something delicious, Eiseman says. Deeper shades of brown could also signal that you’re “aware of fashion” and “a bit more daring,” Zimmer says. And selecting those lighter variations could simply mean that you’re very practical, Augustin says. “Light beiges would make the room seem larger,” she says. So the choice could say that that’s exactly what you’re trying to do. Lighter shades like tans and taupes create a backdrop that will “recede” or “be less obvious,” Eiseman says. And tans are also a safe choice to use in today’s popular open-concept spaces, Zimmer says. If you want to find out what those gray walls say about you, look at them it in the context of the entire room. “Grays tend to be very sophisticated choices,” Augustin says. So the people selecting that paint for their walls could have a “sophisticated color palette,” she says. And homeowners who use gray could be “a bit more safe and reserved themselves,” she says. 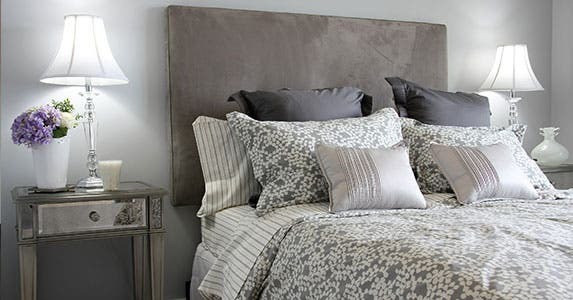 Painting with darker gray shades “may say they’re on the cutting edge,” while lighter hues convey “more of a safe haven,” Zimmer says. That gray paint could also signal that you’re shy, or that you’re getting your color from other things in that space, Eiseman says. But keep it balanced. “Too much gray, without something to relieve it, can be depressing,” she says. White, and related shades of off-white, eggshell, cream and the like, could mark you as extremely sophisticated and design-savvy. Or they might reveal that you’re totally overwhelmed by color. White is the default choice for “people who don’t know what to do with, or are overwhelmed by, color,” she says. But white shades “are beginning to come back into vogue again,” Zimmer says. 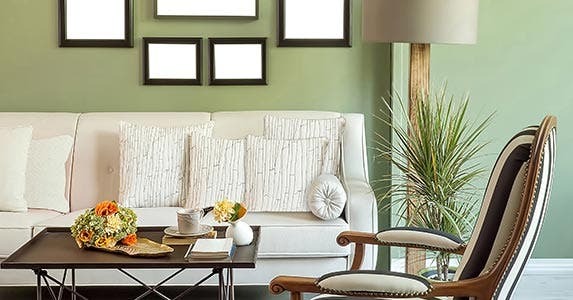 Many designers see the panoply of whites, off-whites and shades edging into beige and taupe as a great backdrop for a room, as well as something that gives a colorful decor or accent wall an extra wallop. Off-whites and “lightest taupes” are a favorite for Caan, in her designs and in her own home. Warm neutrals “present a wonderful backdrop that is very, very pleasing,” she says. “To me, using neutrals doesn’t mean washed out or not experimental,” Caan says. What’s important is the “overall balance” of the room, she says. Can I seize deserted land?